SHOJI PRODUCTS COMBINE WITH YOUR EXISTING DESIGNS SEAMLESSLY, ENHANCING THE VISUAL AESTHETIC WITH TRADITIONAL AND NATURAL MATERIALS. 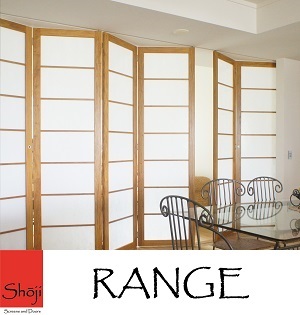 SHOJI SCREENS AND DOORS ARE MADE IN QUEENSLAND, AUSTRALIA. ALL PRODUCTS ARE MADE TO ORDER and come IN A RANGE OF COLOURS AND STYLES.